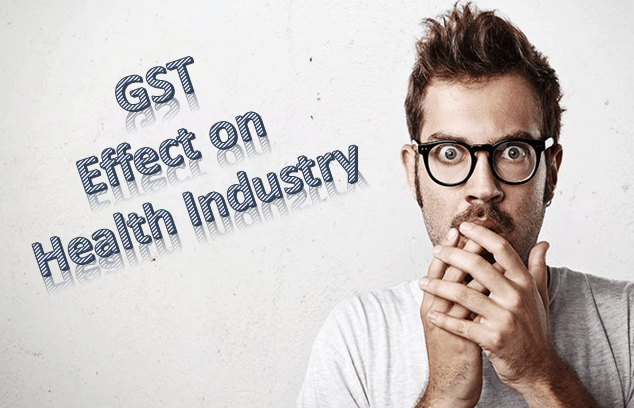 How GST will affect the Healthcare Industry, the Pharma Sector and the Common Public? GST (Goods and Services Tax) has finally got the green signal and is expected to have a significant impact on the Indian market and economy. It will affect each industry and consumer, but no one is clear whether it will be a positive hit or negative hit. The main aim of GST is to fill the loopholes in the existing taxation system due to the number of indirect taxes levied on goods and services. The aim is to replace all these taxes with one tax—GST. Apart from streamlining the nation’s taxation system, it is expected to boost the Indian economy as well. Now the major concern is, whether it will affect the healthcare Industry adversely or slightly. GST has put a direct 18% tax on the raw materials required for Medicines. It is therefore expected to increase the price of the medicines in the Indian health market. This has got drug retailers and distributors worried considering the loss they might have to incur with the increase in the effective tax rate. Who will absorb the losses incurred on the manufacturing of the medicines? Will the pharma sector company reduce their profit margins or will the dealers and distributors have to bear the extra cost. Or above that all, will the common man have to pay the extra cost? India’s pharmaceutical industry is currently the 3rd largest in the world in terms of volume produced and is one of the largest producers for generic drugs. It also stands 14th in world pharma ranking in terms of value indicating a big industry supporting the health care and economy of India. The growth of the healthcare industry in India has been exponential in the last few years raising an industry of $150 bn by the end of 2017. The GST has come up with a different rate, tax structure of 5, 12, 18 and 28 per cent, for different sectors. They tend to keep the daily required necessary things in the lower tax bracket while keeping all the luxurious amenities in the higher tax bracket. The healthcare experts believe that GST would have a positive impact on the overall healthcare and the pharma sector. Currently, eight different types of taxes are imposed on the various medical pharma products which should get streamlined with GST getting imposed. Are the Distributors Ready for GST? After the GST rates are out, essential drugs fall in the 5% tax bracket. These drugs include drugs required to treat malaria, HIV, tuberculosis and Diabetes. While almost all the remaining drugs are in the 12 percent tax bracket. The bigger worry for the pharma industry is still not the tax part but the unwanted disruption the new GST tax system will bring. Many distributors and stockists have not even registered for the GST portal which is a matter of concern as they will not be able to make the trade sooner. Also, many companies like Abbott and Cipla have decided to absorb the losses which traders might incur during the transition period but this is not a generic statement and varies from company to company. Life has to be insured with the best Health Insurance in the market right now because these GST bills are going to be really heavy in terms of medical payments, if done without the help of insurance. Paying the long bills of medicines rated with high GST tax bracket will surely make the costing of these lifesaving drugs quite high. The final burden has to always be borne by the general public, irrespective of what the major pharma giants promise most of the times. So be insured of whatever happens and take the best health insurance right now! Overall, the impact of the GST on the Healthcare and Pharma industry are still unknown but latest release of tax bracket has given a hint of worry for many. Still many medical industry specialists believe that GST will have a positive response and impact on the market creating a win-win situation for all. As the country’s population continues to grow, the need for better and affordable health care services is growing rapidly. To address these requirements in the near future, many important decisions have to be made and life security has to be the top priority among others.